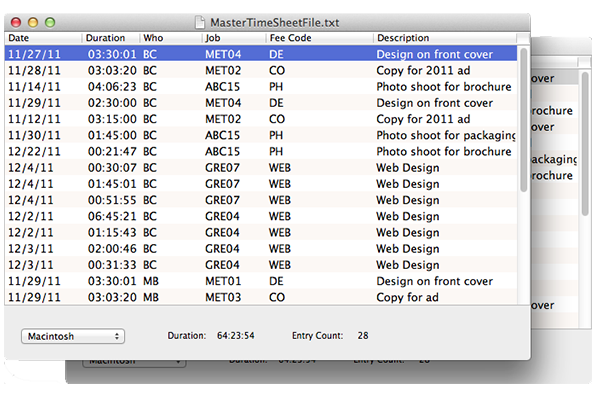 Time Sheet Manager Stand alone app for Mac OS-X or Windows will import and merge your work group's StopWatch time sheets via email, public network, or media into one central time sheet file. Then it sorts, filters, groups, exports and print reports. Does your company use both Mac and Windows platforms? No problem Time Sheet Manager works cross platform!